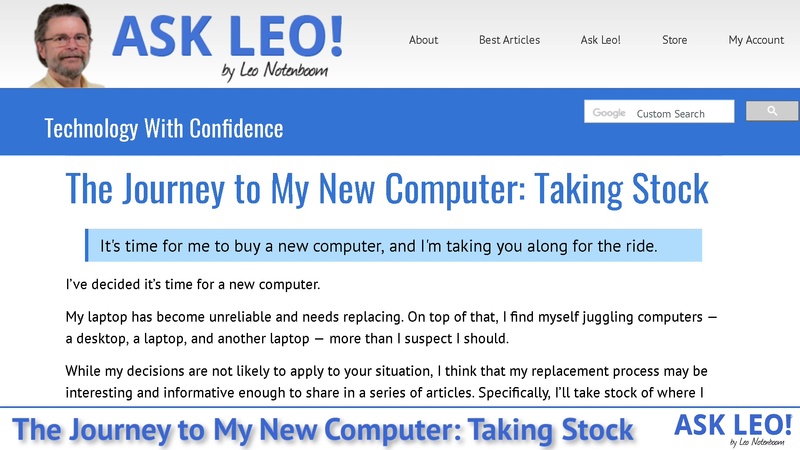 The Journey to My New Computer: Taking Stock - Ask Leo! It's time for me to buy a new computer, and I'm taking you along for the ride. I’ve decided it’s time for a new computer. While my decisions are not likely to apply to your situation, I think that my replacement process may be interesting and informative enough to share in a series of articles. Specifically, I’ll take stock of where I am (this article), what I use my technology for, and the questions I ask myself as I decide what to get. Let’s start with what I have. I have three computers that I use most often: a desktop machine and two laptops. The desktop machine is an Apple Mac Pro I purchased in 2013, over five years ago. The About box for my Mac Pro. As you can see, it’s a 12-core machine, which was part of its draw. I planned to do a fair amount of video editing on the machine, and the software I was using at the time was capable of putting all those cores to use. The Mac Pro is my workhorse. I use it every day. It has 64 gigabytes of RAM, a half-terabyte SSD drive, and eight terabytes of external RAID storage connected via the high-speed thunderbolt interface. 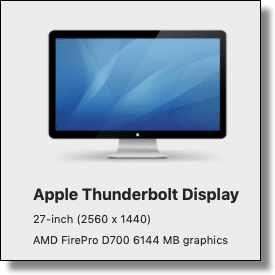 Attached is a Thunderbolt display with a resolution of 2560×1440. As I said, this is the machine I start and end most days on. It’s five years old. It’s working well, and, honestly, not really in need of replacement. (I’ll explain below why it’s being replaced anyway.) Since it’s in good shape it’ll continue to have a useful second life in my basement (as my prior desktop machines typically do). My primary travel companion until recently, particularly on business trips, has been my over six-year-old MacBook Pro. The About box for my MacBook Pro. It has 16 gigabytes of RAM and a one-terrabyte SSD. I’ve put many miles on this laptop. Today it lives primarily in my makeshift studio, where I use it as part of my video and audio recording process for Ask Leo! podcasts, as well as the Tech Enthusiast Hour podcast. If I need a computer to take with me today, it’s the one I grab. It’s really my only option. While it doesn’t factor into this process, a year and a half ago I picked up an ASUS Chromebook. This was part curiosity, part experiment — I purchased an inexpensive device to take with me on a business trip to see if it would be sufficient. It did fine, though I had my Latitude with me in my suitcase “just in case”. Today the Chromebook lives in my family room, where its primary job is email, Facebook, and looking up things on IMDB when we see someone on screen who looks really, really familiar. One decision I’ve made so far is this: I want to replace all three machines — the desktop and both laptops — with a single device. That means the single device will need to be a higher-end laptop, probably with some kind of docking station for desktop use. My current desktop, the Mac Pro, will migrate to the basement, where it’ll take on a new role as a backup server/NAS next to my previous desktop (an even older machine custom built by Puget Systems), and knock an even older machine completely off the table and into the recycle bin. That machine served as the point-of-sale machine at my wife’s retail store, which closed just over ten years ago. Since I can’t trust it any more, the MacBook Pro will simply get wiped and recycled. The Latitude will keep running in the basement (so as to be kept up to date) and serve as my “backup laptop”. In the next article in this series, I’ll review just what it is I do with these machines, what I’ll expect of their replacement. 1: That’s my rationale and I’m sticking to it. 2: Exactly what that means will be the subject of an upcoming article. 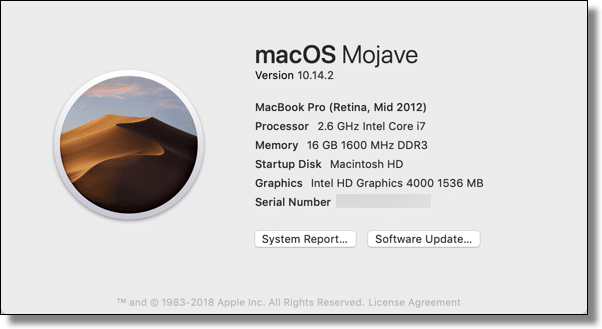 What were the steps you took to determine that the MacBook problem was a hardware problem? Could the crashing be corrupted software, bad update? Honestly … gut feel based on many years of experience. 🙂 The biggest clue was the reboot problem. Typically if it’s a software problem a reboot either works or it doesn’t, and it does so fairly consistently, in a consistent manner. That I could reboot repeatedly (using the power switch to force it) and it would behave slightly differently each time — sometimes actually rebooting — made me lean towards hardware being at fault. Is it 100%? Of course not, but then we dive down in to time and money invested into a six year old machine when, really, it was time for me to upgrade anyway. This will be an interesting and enlighting journey. List your criteria points. That is how I approach the task. At least at the beginning. LOL! I love the spec of your old Mac Pro, and it makes me envious to read about it even today. and, I am surprised and concerned that you are parting with a pure desktop PC and going laptop only. Knowing you I am sure that you are going to go for something amazing, presumably with a docking station? I couldn’t imagine looking at a small screen all day. I am very interested to see what you choose. If you are ditching your PC then I think that that sounds the final death knell for the future of that format computer… mark my words! I love a PC, it is real and get-attable and like a friendly dog. I have always thought of laptops as a compromise for reasons of space or portability. Watch this space, lets see what you come up with!! I stopped using my desktop a couple years ago and only use my laptop, but I almost never use the smaller screen. I’ve got a 26″ monitor on the desk that I plug in to. This way, all my data is available to me whether at home or on the road, with or without internet access. With wireless keyboard and mouse, it’s simple to set up and simple to take with me. One HDMI plug, plus power is all that is necessary. I got an extra power cord, so I don’t have to bend down to unplug it from the power bar. I unplug power from the computer. The second power cord is in my laptop bag for when I travel. If you haven’t heard of it yet, I just learned of a nice docking station from a member of my user’s group in Ottawa. That would be the J5 Create Docking Station model JUD481. It is way more than what I could use but, for a professional computer user, might be nice. I noted you said near the end: “The MacBook Pro will simply get wiped and recycled.” Care to explain how you’ll “wipe it” to ensure it’s secure? I suspect Apple macs have a built in 5 year obsolescence. Mine has been going incrementally – first of all battery – replaced it myself, then battery charging unit – replaced, then trackpad – replaced, then a trackpad connector inside the laptop – replaced, then the click on the trackpad (unsorted as yet), now screen fades intermittently – and I’m using a mouse. However my mac book i have is now too expensive to replace – and their tech advice is free and excellent. Because of all this I’m finding your article on getting a new computer interesting. I was surprised to hear you have a mac because it seems all the advice you give is related to windows?! Please more mac tips needed! I’ve gone through this process with households hundreds of times. My favored configuration is some laptop with a usb-C docking station, two large monitors, network store on the router. I put Linux Mint on my 2006 MacBook Pro – and I’m still using it! I would have to disagree with you on a number of issues firstly I have worked in the IT industry since 1981 and have an electronics background. I look after Macs and PCs and yes Macs are overpriced but they still have their place. there are a few areas they leave PC’s for dead and they also lose ground to PCs in other areas. I currently look after around 250 + computers for clients mostly businesses in a wide range of industries with some home computers. I find no real difference in the reliability of any of the computers regardless of make. I do see however a huge difference when it comes to updating OS’s the most unreliable by far are Windows 10 PC’s I would say that for every 10 computers that have an updating problem 8 at least would be windows 10 machines. Macs are far more reliable in this area I think due to the fact that there are more consistent in their build. My own setup is a 27″ iMac i7 with 64 GB ram and a 1TB SSD it is a 2012 model ( am reluctant to change because I need and use a DVD burner a lot.) I also use a 2013 i7 13″ Macpower book with 32GB and 1TB SSD what I really like is that both units sync completely so what is on one is on the other so when I travel or am out on a job I have everything I need windows does not do that nearly as well and certainly not out of the box. I run windows on both units through Parallels and it integrates perfectly even using audio and video software and Corel Draw. I find that windows explorer is faster and better than finder and use it even on the Mac side. And as for not being able to replace the OS/X that’s rubbish, you can easily oh and OS/x is not a Linux variant. Both Mac OS X, the operating system used on Apple’s desktop and notebook computers, and Linux are based on the Unix operating system, which was developed at Bell Labs in 1969 by Dennis Ritchie and Ken Thompson. I have been using laptops for many years mainly for travel or when I need to do some LAN testing or inter-computer action. I have not yet found one whose keyboard I can use as naturally as a regular desktop keyboard. I despise the cramped “chicklet” keys and the touchpad, and so I use the laptop only out of dire necessity. Much of the time I use an external keyboard and mouse, which rather defeats the idea of the portability of the “laptop” computer. I have done many years of software development in various venues, and became used to large multiple monitor setups using a desktop computer and a preferred keyboard and mouse. Now, being retired, I still rely on my desktop for all real work, and still often use two large monitors when several applications need to be open and share data. It’s time to get rid of the notion that the physical size of the machine means it’s better. At work, all we use are laptops because we travel frequently. But when I’m in the office, I’ve got two large monitors, a full size keyboard and mouse, all connected to a docking station for the laptop. Once set up, I can’t tell any difference between a laptop or a desktop. They all function the same. However, those at work who do not travel get a desktop. The new desktops that they started installing are actually smaller than my laptop. They are not much bigger than a desktop PC power supply. 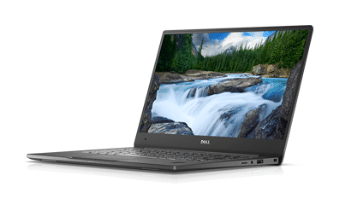 So really, what is the difference, except that the laptop gives you the ability to take your PC and your data with you, and be able to use it, with or without an internet connection. Those small desktops are portable, but are useless without the keyboard and monitor. At home, I only use a laptop and with a full-size wireless keyboard and a comfortable wireless mouse. The power and monitor are one plug each. Once setup, I don’t realize that I’m not working on my desktop. As far as your setup goes I agree that the functionality of the laptop with all of your peripherals works as well as a desktop computer. You have your big monitors, an external keyboard and mouse, so all is well. But let’s face it, you are simply mimicking a functional desktop with all the needed accessories added to the laptop. I have done that on my job, but still kept the desktop computer kind of like a mother ship. Un-docking the laptop and going on travel is very convenient. In my case that would leave my desktop (main computer) without manual access. It reminds me of the James Bond movie where the head bad man had a large speedy yacht around Key Largo. The military was about to blow him out of the water, so he gave the command, “Jettison the cocoon,” and he left in haste with his small and fast boat while the support group was left dead in the water with the cocoon. I wouldn’t rely on an internal hard drive for a backup. Anything that fries the computer might also fry the internal HDD. Of course a fire, theft or electrical surge can also take out backups so I also have a off-site copies of my files. You are right. I have DropBox for off-site backup and sharing over computers, plus two external drives for scheduled weekly and monthly backups which I do manually. The external drives I keep turned off except when I do the backups. That internal drive is nice because I don’t have to schedule manual on/off and invocation of the backup software: it is just always there. It is a convenience that a laptop generally cannot offer. I am glad you are doing this, I’m getting ready to buy a new computer as well. My gaming computer has took a turn for the worse i’m not sure if it’s worth fixing. It was custom built by my dad back in 2009 maybe 2010, i acquired the computer after his death back in July of 2014. I’m not getting in any hurry as i’m still trying to figure out if i want to try my hand at building a computer or buying a prebuilt. I agree with Jenny – let’s have Mac tips! Just a quick personal response. I can’t imagine not having a desktop computer. Mine’s a late 2015 27 inch iMac. It’s been switched on since late 2015. Next to it is my wife’s late 2009 21 inch iMac which has been switched on since late 2009. Actually, they are off power if there’s an outage or when we’re on holiday and for the occasional reboot but in all other respects they’re permanently on. This means you have only to tap the Mouse it keyboard for instant access. The big downside of desktops is that you have to physically go to the room they’re in. But the benefits are enormous. Big screen, proper keyboard, real mouse, external storage, etc. etc. We also have iPads which are in constant use and also a laptop which isn’t used much. So for me, a desktop is irreplaceable. My laptop, when placed on my desk, has a big screen, proper keyboard, external storage, etc…. The time which shows up on Ask Leo! comments is the Pacific time at the time of the post. My docking station consists of 2 plugs. The power cord and a USB-C hub which connects to my USB drives, my wireless mouse and keyboard dongle, and my monitor. As does mine. A future update will detail how well that’s working.